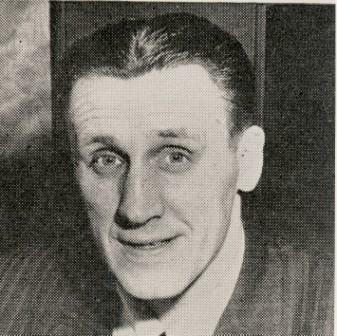 Annis Stukus played six different positions, including quarterback, and was a member of Grey Cup winning teams in 1937 and 1938. While he was the coach and GM of the New Edmonton Franchise, “Stuke” occasionally performed the kicking duties for the team. Stukus recruited excellent players and launched some outrageous promotions. He went to Vancouver in 1953 to assist in the organization of the B.C. Lions and once again put his promotional abilities to good use. The CFL has annually presented the “Annis Stukus Trophy” to the Coach of the Year.